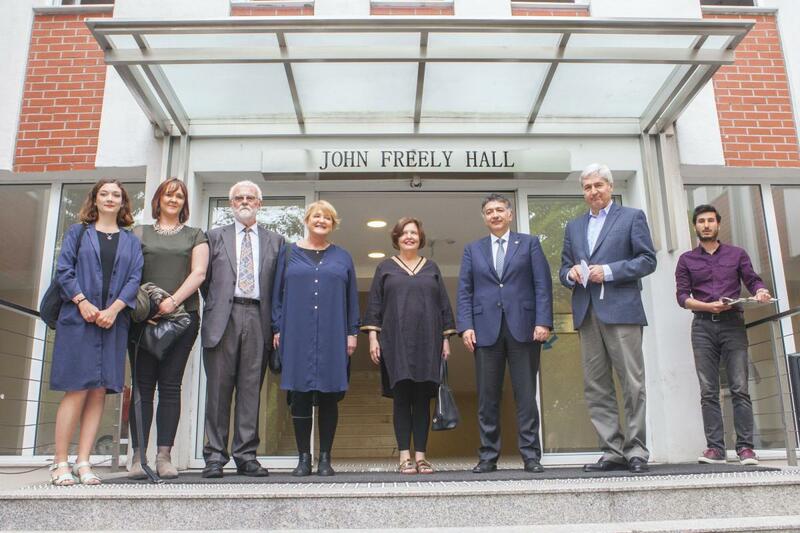 On May 12, 2017 a commemoration ceremony was held at Boğaziçi University for John Freely, a Physics Professor who had been witness to many important periods in the University’s 150 year history. John Freely passed away at the age of 91 on April 22, 2017. 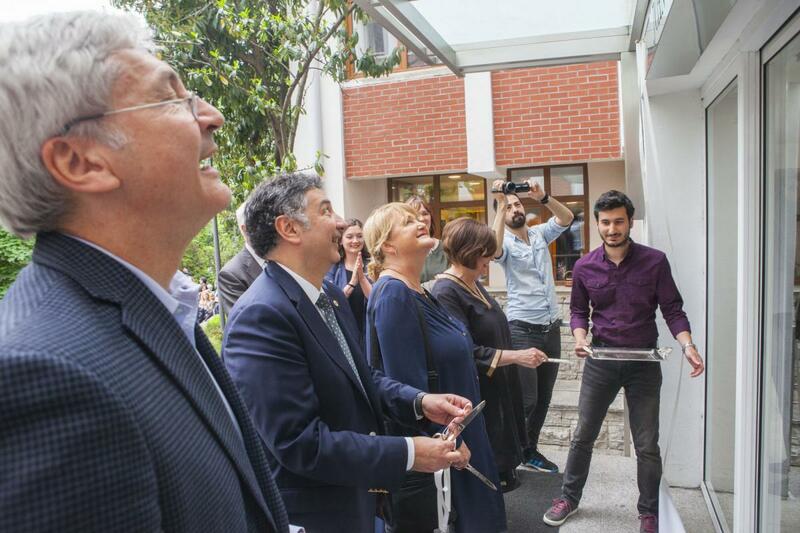 The ceremony was attended by Professor Mehmed Özkan, President of Boğaziçi University, academicians, Freely’s family, friends and students. Professor John Freely was known to many as “the memory of Istanbul” for his books on Istanbul and Ottoman history. He taught Physics and History of Physics at the University for many years. President Mehmed Özkan, former Presidents Ayşe Soysal, Üstün Ergüder, Sabih Tansal and Kadri Özçaldıran, academicians, John Freely’s family, friends and students attended the commemoration ceremony. In accordance with his wishes, John Freely was buried at the Feriköy Protestant cemetery in his beloved Istanbul on May 11. 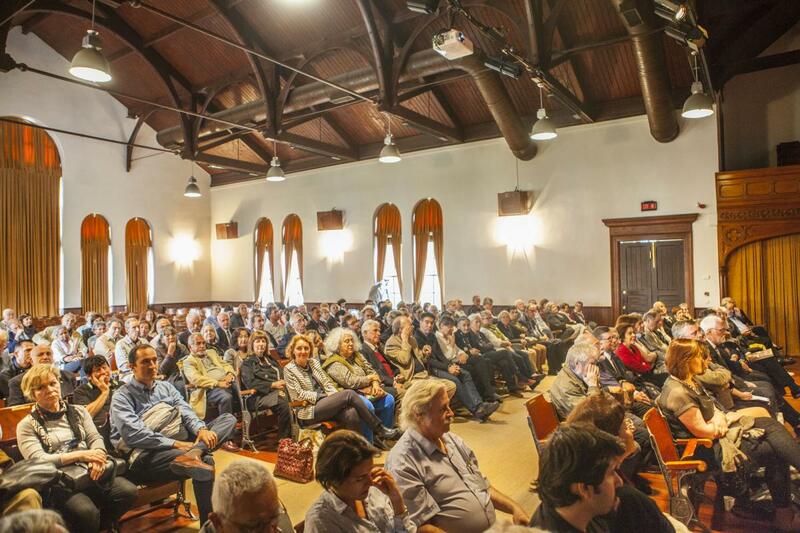 Among those present to pay their final respects and say goodbye to John Freely were Pınar Kür, Prof. Jale Parla, Prof. Hakan Erdem and many others from academia and literary circles. Following the naming ceremony at YADYOK, the commemoration ceremony continued at Albert Long Hall. One of the speakers at the commemoration ceremony was John Freely’s daughter, writer and literary translator Maureen Freely. She talked about his father’s devotion to Istanbul, to Boğaziçi University, his friends and his students, and said that Freely’s last wish was to return to Istanbul. Her father, she said “had become the person he wanted to be on this campus”, emphasizing that his passion for life and interest in current events had never ceased despite his advancing illness. Ayşe Soysal, former President of BU and former student of John Freely, said that Freely had been definitive in her academic career; it was because of John Freely that she quit studying Engineering and studied Physics. She emphasized that despite his extensive travels and experience in living in different cultures, Freely found his soul in Istanbul, and among many places in the world, Istanbul was his real home. 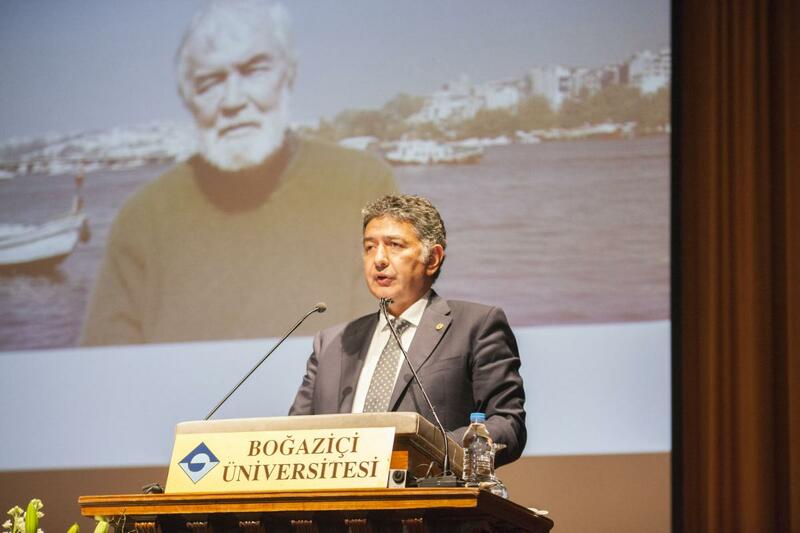 For Prof. Üstün Ergüder, another former President of BU, Freely was the symbol of the continuity of Boğaziçi University. Ergüder mentioned the significant contribution Freely made to the education of students over the years, adding that he taught students to be knowledgeable not only in science but in culture and arts as well. 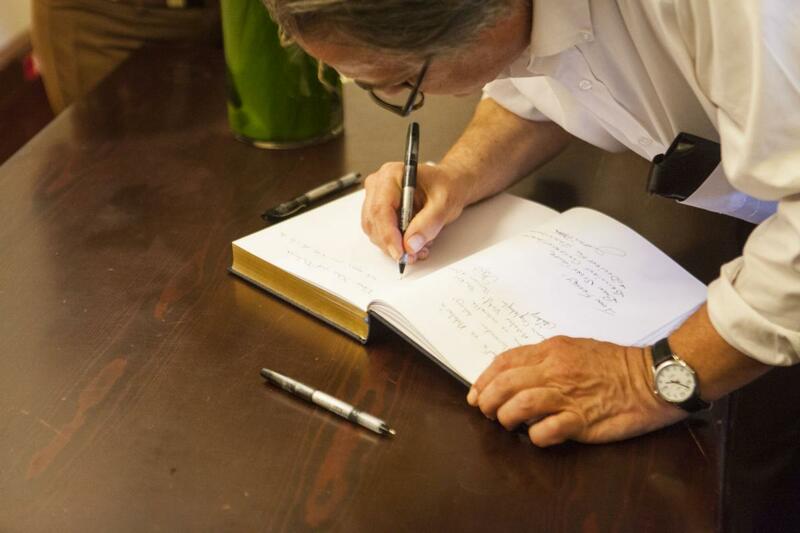 Ergüder underlined that Freely’s books are invaluable sources for those who want to know and learn Istanbul. Freely’s former students, Emeritus Prof. Haluk Beker of the Department of Physics, Emeritus Professor Faruk Birtek of the Department of Sociology, Haluk Usta, and Prof. Ekrem Ekinci shared anecdotes about Freely at the ceremony. The ceremony ended after Prof. Cevza Sevgen read a letter written to Freely by Prof. Oya Başak, Emeritus Professor of English Literature. John Freely joined the US Navy at the age of 17, serving in a commando unit in the Pacific, Burma (Myanmar) and China during World War II. After the war, he went to college and eventually received a PhD degree in Physics at New York University. At the age of 34 in 1960, Freely came to Istanbul to teach Physics at Robert College. He also taught and lived in New York, Boston, London, Athens and Venice for some time, but returned to Istanbul in 1993 and resumed his teaching post. He was the memory of not only Istanbul and Boğaziçi University, but due to his interest in Ottoman and Turkish history, the memory of Turkey as well. In the 1960s, Freely had become good friends with some of the leading Turkish writers and artists including Yaşar Kemal, Aliye Berger, and Ömer Uluç. His first book Strolling Through Istanbul was published in 1972. It was Ömer Uluç who had once said, “John, you are the memory of Istanbul”. Freely deserved that title indeed; there was no place in Istanbul that he hadn’t been to. Freely wrote over 50 books, most of which are on Ottoman history and Istanbul; his books have been translated into many languages.